City dwellers’ complaints about the problems they face are nothing new. 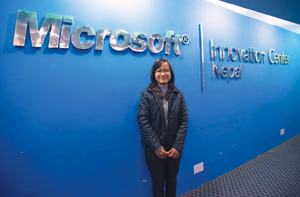 In their new joint program, the CityApp program, Microsoft and CityNet urged the denizens of Kathmandu to do something instead of simply complain. The CityApp program consisted of two parts: the Solution Blueprint Challenge and the CityApp Appathon, conducted on 5 March and 13-15 March, respectively. 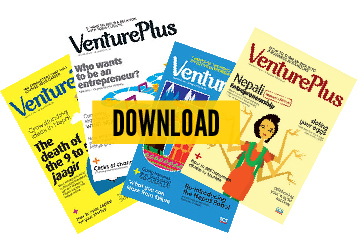 The former called for detailed 5-10 page proposals on possible sustainable apps that could solve Kathmandu’s various problems. Both technical and non-technical persons participated in first part of the event. While the latter, CityApp Appathon, invited developer teams to create an app prototype at a 3-day 2-night retreat. 100 selected participants took part in the second event, and spent three days coding, designing and creating their prototypes. What did you intend to achieve with the event? As the theme of this program is based on solving the cities’ problems, we are trying to create a little hope for the city by solving the current issues and problems of the city. The problem may not be solved at once but the app or the website that was developed through this CityApp program could assist to solve the city’s biggest issues. 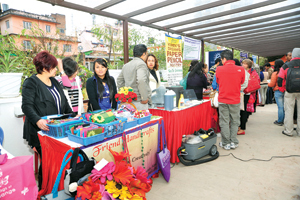 Mr Allen Taladhar, head of MIC Nepal, has said the event hopes to develop apps that deal with “real life problems”. What exactly are these real life problems and how did you determine them? There was a list of general issues that we focused in the event: transportation, health, they are all general terms. We met with people from the Lalitpur and Kathmandu municipalities to create statements on the problems and current issues of the city. As they know more about the problems than us, they were able to provide specifics of the problems. They provided us a list of five problem statements that were uploaded to our website for the participants to look at before the event. As the apps were also judged on sustainability, does Microsoft and CityNet have any plans to follow up with developers after the event? It’s been decided the help we’re providing is the incubation period. Based on the quality of the apps created, we will decide which teams are incubated. In the incubation period, from directly after the Appathon ends on 17 March to 31 May, the teams can complete and polish their app. They can add features and consider the suggestions given by the panel of judges we have in the Appathon. Microsoft will provide support. Space is provided by us, if they want to come and work as a team, they can come to MIC Nepal and work. We provide internet, space and everything. We will help to get them ready for the World Cities Summit (WCS) on 1 June in Singapore. There, I’ve been told that someone will speak about the whole CityApp program and the top applications in the keynote session of WCS. They will get the publicity and exposure to maybe get more funding.